The Alnico V 7.2K 'Hot' Bridge and 5.9K neck and middle configuration is particularly suited to playing that emphasizes warm, Blues or ‘rock’ styles but with the added grunt of the higher Bridge output when you want it. 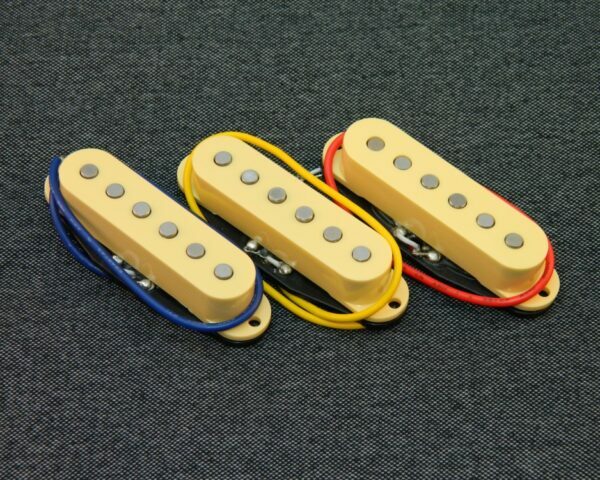 Classic Alnico vintage tones in all positions. Featuring slightly over-wound 5.7K Bridge & Neck with 5.4K Middle is designed to give especially clean warm tones, so great for playing that aims to capture those vintage classic Blues or ‘clean’ styles. Benefitting from hotter pickups in the middle and neck (7.4 / 7.3K) and a real spanking hot rod in the bridge (8.4K) position. 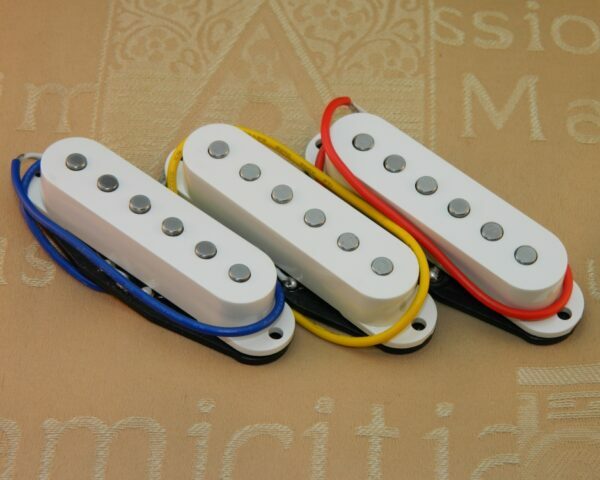 This combination of higher resistance Alnico V pickups is particularly suited to playing styles that emphasize gritty higher output Classic Rock or dirty Blues tones, yet are still able to produce silky smooth warm tones when dialled back a little. With a combination of a huge 9.1K bridge and 7.7K middle and neck, the Hybrids are designed to capture the tones of the Fender late 60's early 70's Strat era. 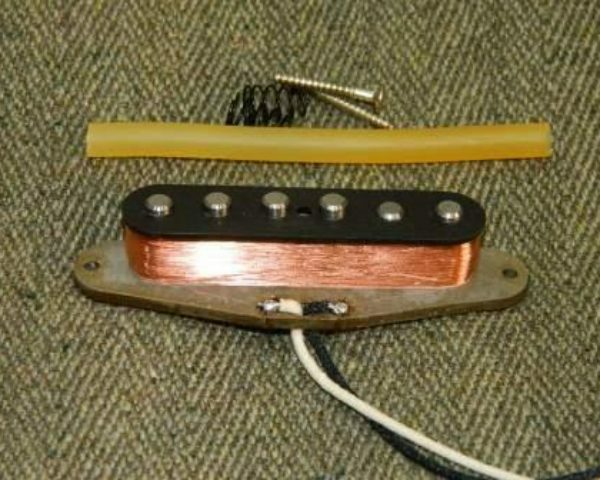 Add the vintage style pole piece stagger and 43 AWG windings as the Texas Specials and you have a very meaty pickups set with great sensitivity. Think artists of the era like Hendrix, Gallagher and Trower and you will get an idea of the tone range these are aimed at. The Origin pickups aim to reproduce the classic bright clean tones of the early 50's and 60's Stratocasters. Due in part to entirely vintage construction; Fibre bobbins, push back wiring and 42AWG wiring. A 6.4K bridge and 6.0K middle and neck complete the traditional spec. But the modern twist is the use of a mixture of Alnico V and 3 magnets, in a unique combination for each pickup. That's the sort of innovation normally only found on very expensive 'boutique' pickups. "Better than Squier, better than Mex Strat, easily as good as a vintage USA Strat"
"GREAT E BAYER BRILLIANT PICKUPS AS GOOD AS F....R CUSTOM SHOPS <><><>"
"Very good pickups! more detailed than my Wilko alnico', similar to my iron gear"
"These pick-ups are simply awsome, they give a fantastic tone, excellent seller!" "Great tone. Squier strat now has real character. Many thanks." 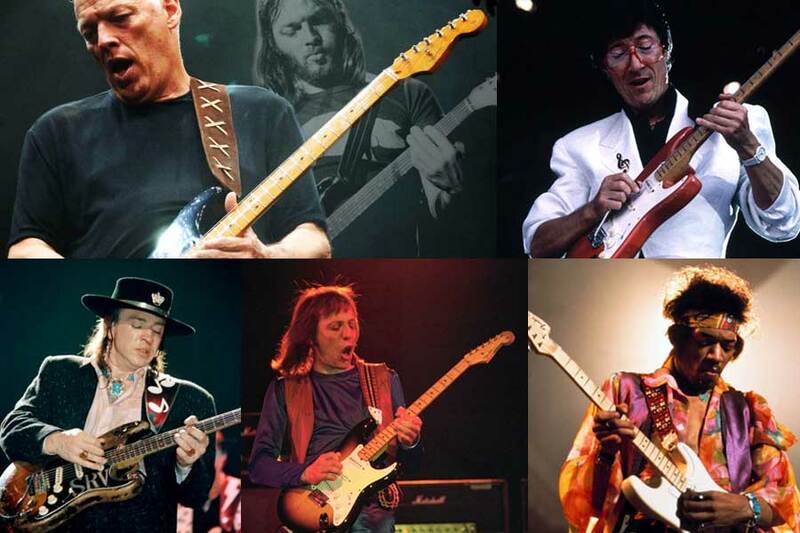 "Brilliant pups, transformed a cheap Gould into a vintage F****R. A1++++++++++++"
"£50 Strat copy now sounds like real deal - clear, warm, full & with sustain! A+"
"These pick-ups are so good, I will not shop elsewhere for my custom builds A++++"
"Really Happy with these pickups great clarity compared to the squires pickups"
"Swift despatch, great comms and the pups are simply superb. Recommended seller." "Quality Quality Quality! Brilliant Item, Great Comms Very Highly Recommended!" ....... thanks for pups, which exceed my hopes! I've got a nameless strat copy and I've been using Squier strat pickups and circuitry. All the (Ironstone) pickups offer not only more gain, but more colour through the tones. There is more attack on the base end, less mud more wood, more subtlety in between, and the trebles penetrate well without a hint of being tinkly - more bell-like especially on the bridge. I will use the bridge much more now because the Squier one was scratchy and tinny to my ear. The middle on its own is smooth all the way through, and more shading. ... Also, it seems as if the old guitar has more SUSTAIN - surely can't be the pups!?? (Ironstone note; these Alnico V pups have more sensitivity than cheaper ceramics so are able to 'hold on' to string vibrations longer). These would be worth having at three times the price, but a real gift at present price. Just the job for budget-conscious guitarists who crave quality and know how to use it. Keep on soldering those Anicos! As I play in a band that does a lot of Shadows type music, I get loads of folk asking about my lead guitar sound and how it's achieved, particularly about pickups and echo machines, but lately I have been concerned about the trend of folks thinking that £249.00 set's of pickups are the answer, which clearly isn't the case. 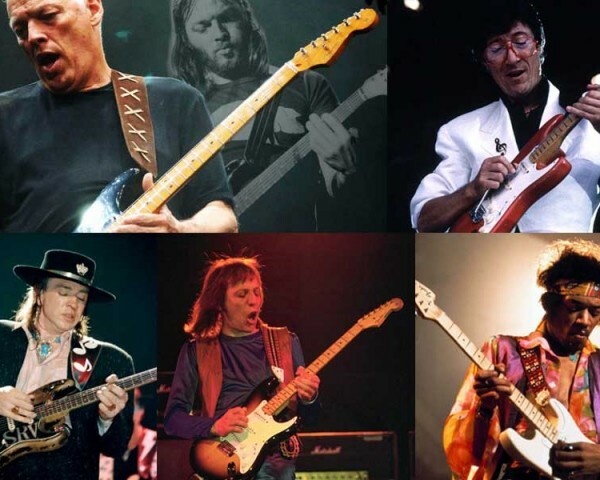 I have had the opportunity to test most of what is on offer in that price range and for the hell of it I bought a set of your Vintage Strat pickups about three months ago and tried them on a MIJ Premium Strat with great success. Here's a link to a video (see the Gold sound clips page) someone took of me playing a couple of Shadows tracks 'Man Of Mystery' (bridge pickup) and 'The Frightened City' (middle pickup) - the pickups are fitted to a £99.00 Johnson guitar which has a MDF body. I fitted my own neck to the guitar for ease of playing, but you should be proud of the sound of those pickups, they nail it as it was back in 1961 SPOT ON! 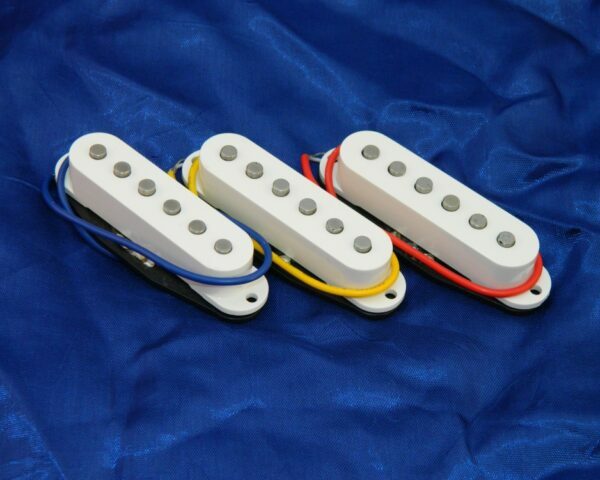 One purchaser has compared Ironstone pickups favourably with Wilkinson Alnico vintage pups which retail around twice the price of these. 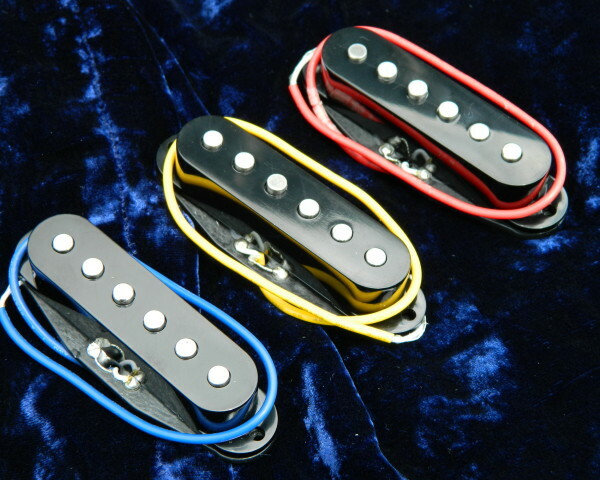 Finally, "These pickups are simply brilliant. Sparkling high end, defined mids and punchy bottom end. Excellent for the price!"